Art, like science, is about experiments. Some fail, others succeed to varying degrees. Istanbul-based new media artist Uğur Engin Deniz is both an artist and scientist, so much of his adult life has been about experimentation. In his still and motion graphics work, Deniz creates abstracted and unreal forms. One work, like Chi 02, might look like an amorphous mass, while others, like Pulsar, seem to be exploding. 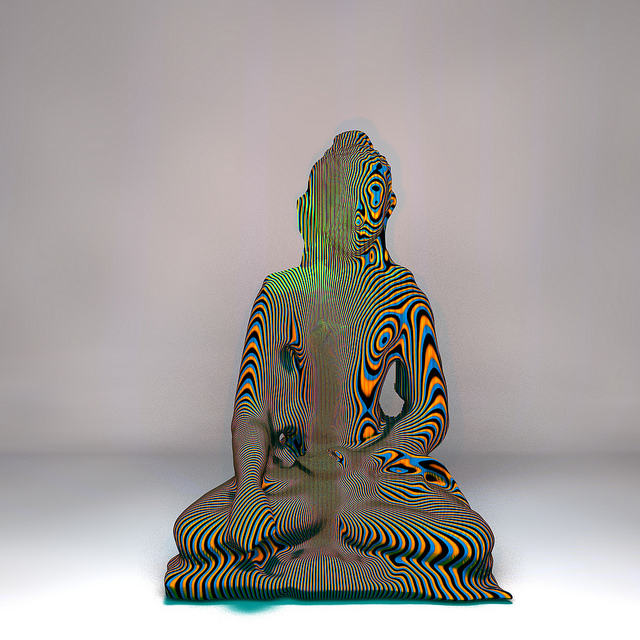 In Endence 02, a form of what looks like the Buddha is replaced with what might be video synthesizer’s moire effect. But Deniz’s techniques, style and output seem to be as varied as the number of works he creates, from the cyberdelia of Kuku Kachu to the weird topographies of Impression 02. Duel from Ugur Engin DENIZ on Vimeo. And this is just Deniz’s still work. The videos are trippier yet. A video like Duel (see above) might explore the fluid motion of interwoven black and white ribbons, while something like Khton seems to be more inspired by mathematical patterns. But this may have something to do with Deniz’s mathematics background. 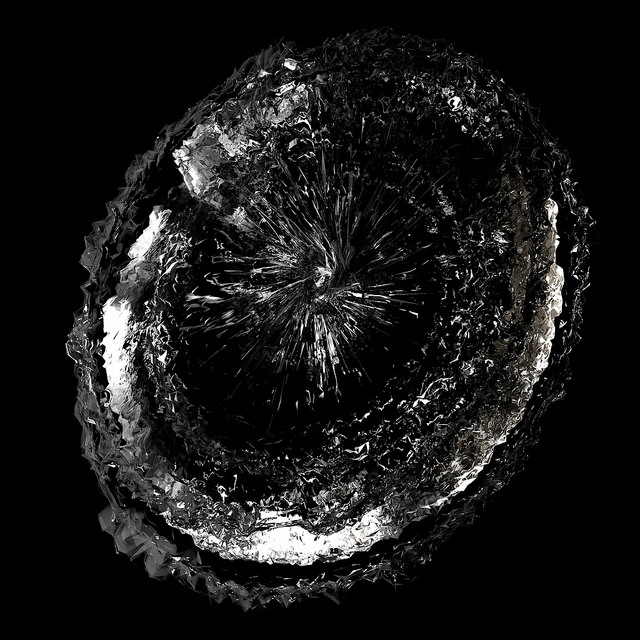 After studying physics at university, Deniz got involved with the glitch art community. 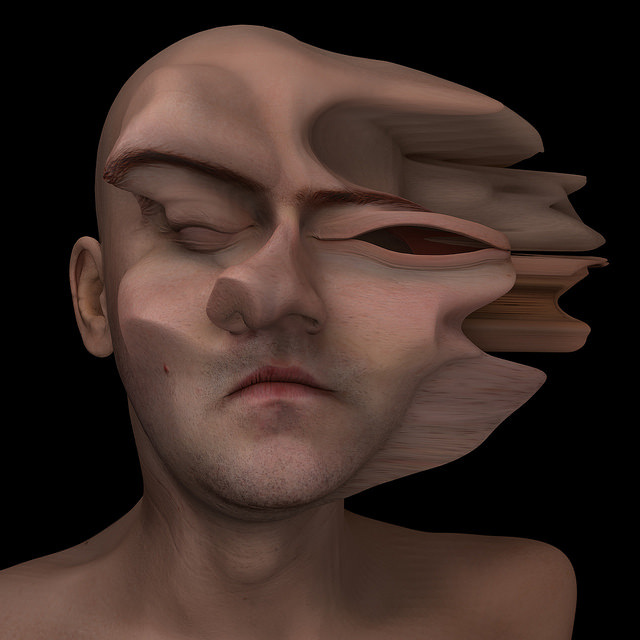 While he says his still and video experiments don’t qualify as glitches, the community channeled his work in other directions and influenced his mindset. Deniz uses a number of software tools, but his digital “headquarters” is generally Cinema 4D, as it can either shoulder the whole process, or create content for other tools. Besides programs supporting 3D, he also enjoys using node-based platforms such as Quartz Composer and Touch Designer. 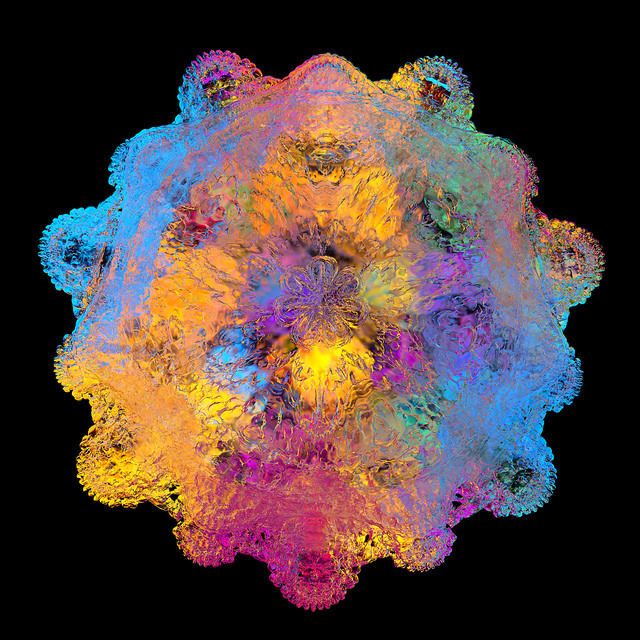 Spherical Moire 03 from Ugur Engin DENIZ on Vimeo. In Deniz’s work, everything has to take place in the virtual camera, however contradictory the idea might seem. When he starts a composition, he says it spills out a beam of chaos through “simulation tools, changing physics and fractal noises.” Then he tries to tame it down to a comprehensible world of events. The ultimate goal is to create elements that have their own life characterized by the way they move. While Deniz’s work is highly visible online, he’s also been part of mixed exhibitions and performances. Centrifugal was part of Salt Soyut (Purely Abstract) on Mixerarts, while Deep Blue was a part of Port İzmir Triennal. Deniz also created live projection-mapped stage visuals for the play Boş Şehir, which is currently on tour. Last year, his work appeared in three glitch-related exhibitions around the world: Glitch Shop (London), /’fu:bar/ glitch art expo (Zagreb), and Glitcha (New York), and this year he’s contributing a virtual sculpture in the Uncurated Pavillion at The Wrong Biennale in Mexico City. As for future plans, Deniz’s pursuing an “unnamed genre of broken 3D with numerous contributors.” He says it will take years until they deplete its possibilities, but for now it’s full of wonders. Cream from Ugur Engin DENIZ on Vimeo. See more of Uğur Engin Deniz’s work on Flickr, Pinterest, and Vimeo.